← Swole Phase 3, Week 3 of Glory. Swole Phase 3, Week 4 of Glory. Congratulations– you’ve officially reached three months of the SwoleFIT lifestyle! Most of you, I’m sure, can barely remember what it felt like before you began. What it felt like not to have two little mountains sitting next to your ears. 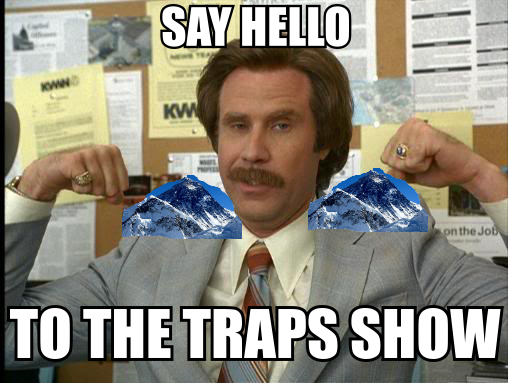 Trap-mountains with their own weather patterns, wildlife, and tourists. Emphasis on hypertrophy days should be on moving the muscle through its full range of motion, using a weight that’s relatively “easy,” focusing very much on proper form, and feeling DAT PUMP while doing so. Do 21 reps of each exercise, then 15 of each, then 9 of each, etc. Rest 30-60 seconds between rounds. Use light weight for both exercises; go unbroken during rounds. Use strict form for pull-ups, feel the pump. Then really start hitting the burner when you rep out the burpees. This one will get you pumped out of your mind for this final week of gainz in Swole Phase 3.
will you start another cycle ? Unfortunately, not for a while– I’ve switched to working on another project right now: http://www.prsuit.com/, check it out! Hey man, apologies for the late reply. I don’t mind answering any questions related to programming/helping out, but right now I don’t have availability for full 1:1 remote coaching. Shoot me an e-mail at swolefitnation@gmail.com though and I can def help get you started!